providing our human and animal clients with the ultimate animal care facility! 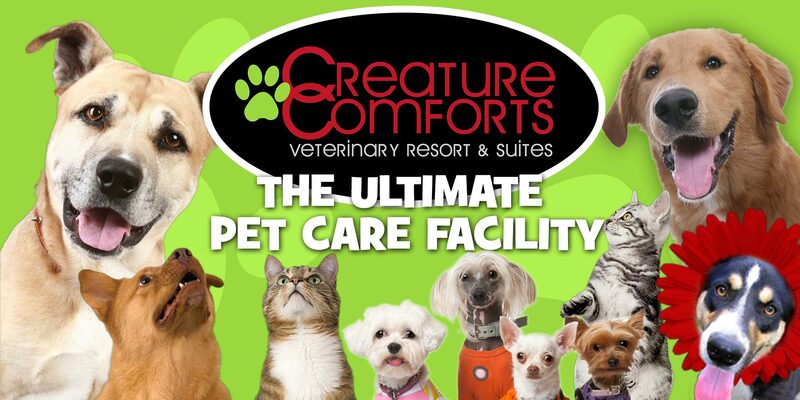 Creature Comforts is proud to offer you and your pet the ULTIMATE in Animal Care. 1500 sq.ft. climate controlled, indoor facility for dog daycamp, and even larger outdoor areas. We are dedicated to improving the quality of your relationship with your dog!